Elation Professional CUEPIX BLINDER WW4 4x100 Watt COB Blinder with individual control of each COB! 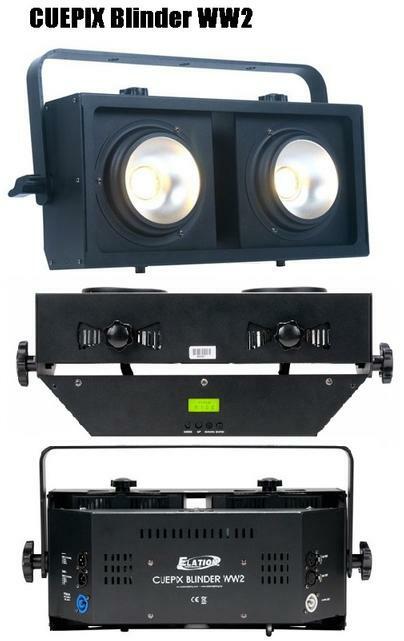 Home > PRO LIGHTING > CUEPIX BLINDER WW4 4x100 Watt COB Blinder with individual control of each COB! CUEPIX BLINDER WW4 4x100 Watt COB Blinder with individual control of each COB! 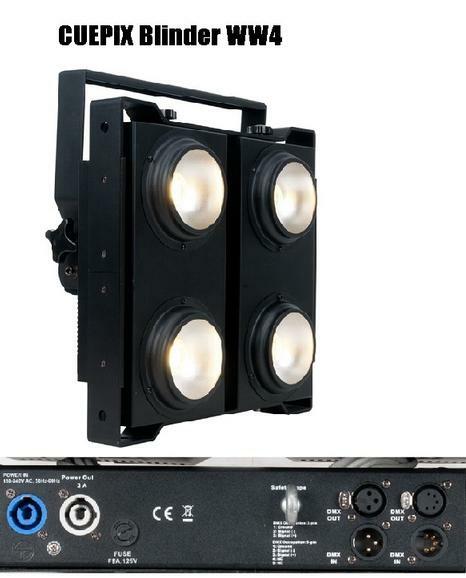 The CUEPIX Blinder WW4 features (4) long life 100W Warm White 3,200K COB LEDs, a 60° beam angle, RDM (Remote Device Management), individual control of each COB module including manual pan focus, variable and selectable dimming curves, strobe effects, flicker free operation for TV and Film, 3pin and 5pin DMX and powerCon in/out connections, LCD menu display with 4 button control panel, integrated rigging bracket, and a multi-voltage universal auto switching power supply (100-250v).